If you want to symbolically adopt Qi Zai please put “Qi Zai” or Brown and White Panda in the comments box after you enter your donation amount. If you want to symbolically adopt one of the Black and White adoptable Pandas from our website please enter their name in the comments box. Semi-Annual updates on the actual panda you have selected for the 12 months in which you have symbolically adopted your panda. If your Panda you select is not living at a CCRCGP Panda Center but a zoo instead, we may not be able to provide any updates. 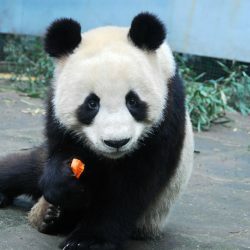 Discounted volunteering opportunities at the Dujiangyan, Bifengxia and Shenshuping Panda Centers. SWARC does not have volunteer program. If you wish to use these benefits you must contact Pandas International at least 4 weeks before you plan to travel to China. Pandas International will contact you within 2-3 businesses days regarding your $1,000 symbolic adoption donation in order to go over any extra details and to confirm the panda you wish to symbolically adopt. Please note that we must double check with the panda centers before finalizing any adoptions to make sure the panda you have chosen is still adoptable. Disclaimer: Please read the adoptions policy to be fully informed on your benefits so you fully understand them- it is your responsibility to understand the rules and to obey them in order to maintain this privilege. 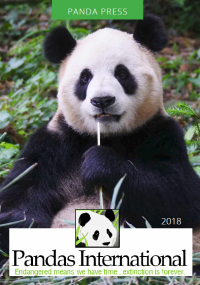 Pandas International encourages the symbolic adoption of pandas at the CCRCGP and SWARC panda centers and we are pleased to be able to offer this opportunity. This is a very special way to become involved in their research and efforts to save this magnificent species. Once you adopt a panda, Pandas International will provide you with updates and photos as we are able. However, our ability to do so is dependent upon the panda keepers and staff and the time they have available. Also, it is important to keep in mind that adoptions are symbolic and designed first and foremost to support the care of the pandas. Your adoption gives you the privilege to visit your adopted panda BUT the location of the pandas does frequently change depending on breeding and/or research needs which may mean that they are off exhibit or at a center closed to the public. In these situations, you might not get to see your panda because access is restricted. If access is restricted you will not be allowed to see your panda even as an adopter. Please remember CCRCGP and SWARC are conservation and research facilities and not a zoo designed to showcase animals to the public. To adopt a panda is to support the care of the pandas. You must respect the CCRCGP, the WAPGPC, SWARC and their affiliates which are involved in the conservation of the giant pandas. Any slanderous, negative comments and rumors made in public or posted on social media will not be tolerated. Any adopters who cannot follow these guidelines will not be allowed to continue their adoption. If your adoption is discontinued due to inappropriate behavior, your donation will not be returned. If you visit the panda centers, you will be allowed to visit your adopted panda, if available, and all pandas on public display. However, you are not allowed in staff only areas. These areas are clearly marked and it is important that you respect the Panda Center’s request. 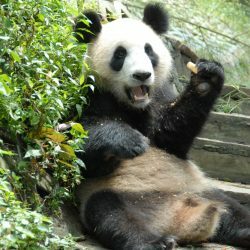 You must ask all staff members before photographing your adopted panda or other pandas that are not on public display. If you have questions about the pandas or your specific panda, please kindly ask the staff and they will do their best to assist you. At all times during your visit please make sure to treat the CCRCGP/SWARC staff with respect and kindness. Any adopters who cannot follow CCRCGP or SWARC’s rules or who disrespect the staff and the centers may be asked to leave the Panda Centers and will not be allowed to continue their adoption. Please remember that Giant Pandas are quiet solitary animals. In their natural habitat loud noises and commotion causes them stress and fear and the same is true for the pandas in the panda centers. If you visit a panda center PLEASE be calm, quiet and respectful of the pandas’ home (including never yelling at the pandas, throwing things at the pandas or trying to poke the pandas with anything. There are signs posted throughout the Panda Centers that remind visitors of the expected behavior while visiting and need to be observed. It is a privilege to be able to visit these critically endangered bears and the staff takes every precaution to ensure that the Giant Pandas’ well-being always comes first. Fan Clubs or Fan Support Groups, which want to use the adoption to publicize a celebrity is not allowed. “Playing with Pandas” is prohibited. While you might have seen photos on the internet of tourists playing with pandas, this practice is no longer allowed due to diseases, illnesses and infections that the pandas could acquire from humans. Photos may be taken in open/public areas and can be posted on the internet or social media. Photos taken in non-public areas, can NOT be posted on the internet or social media. If photos are taken in non-public areas, permission must be given by the keeper or person in charge in order to take any photos. Photos taken during volunteer activities of feeding or touching the pandas can NOT be posted on the internet or social media. We kindly request that your photos be used for your own personal memories and not for social media promotion. Do you have a question about adopting a panda?